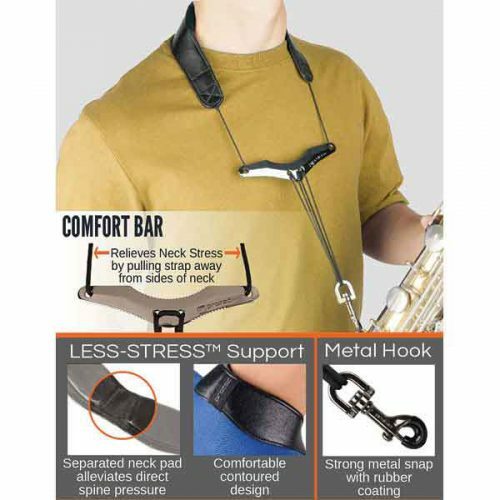 The metal Comfort Bar is a unique tri-purpose feature to this strap: it creates a large opening for easy wear and removal, helps relieve neck stress by pulling the strap away from the sides of the neck, and allows for effortless length adjustment. 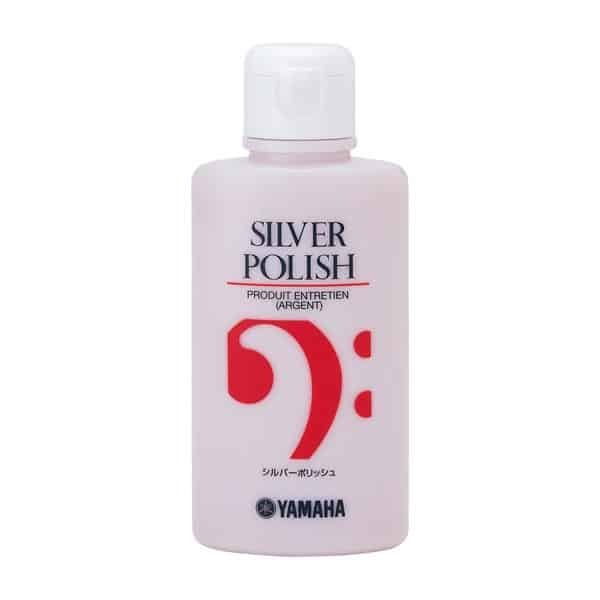 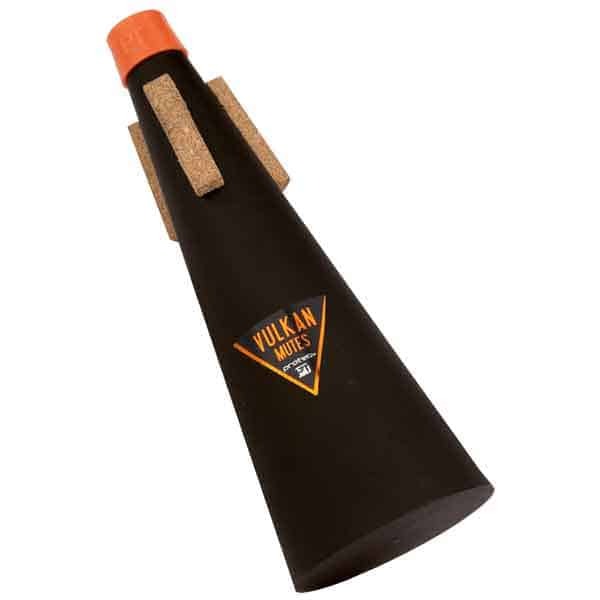 A rubber sleeve on the sturdy metal trigger swivel snap gently secures the strap to your horn. 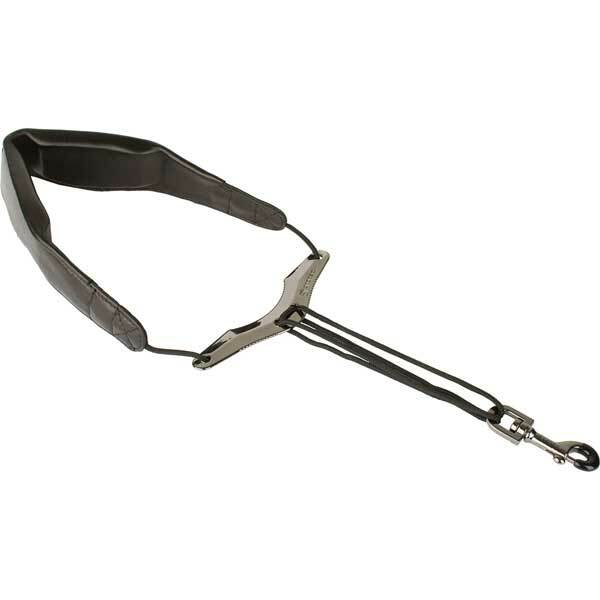 LC310M – adjusts between 18 to 22” from the neck strap to the bottom of the hook; neck strap measures 2″ wide. LC305M – adjusts between 19 to 24” from the neck strap to the bottom of the hook; neck strap measures 2″ wide.